Ather Energy today announced a strategic association with Godrej Nature’s Basket to expand AtherGrid, the company’s EV fast-charging public network’s presence in India. 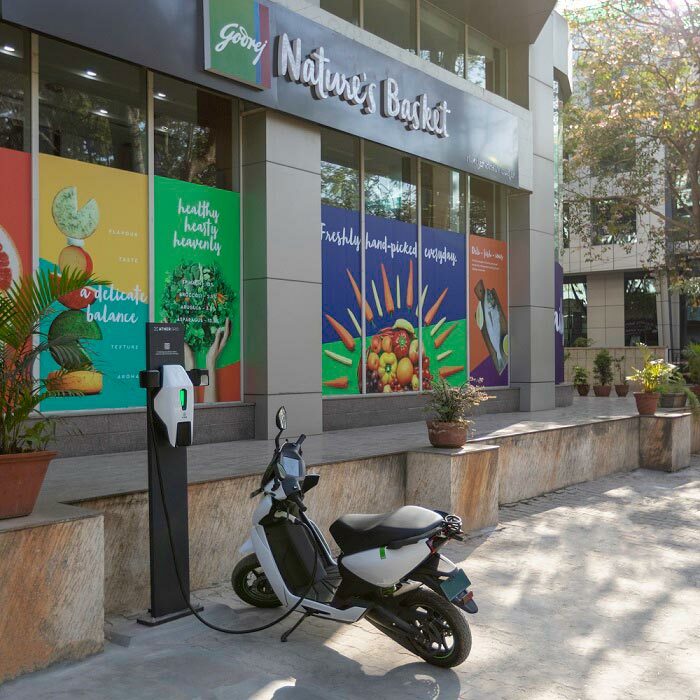 The 35 locations that Godrej Nature’s Basket operates across the country, will host AtherGrid Points, as the automobile player expands its presence across India. The Ather 450 is designed for city riding conditions, it comes with a top speed of 80 km/hr, a range of 75 km and one of the quickest acceleration of 3.9 seconds from 0-40 km/hr in the scooter category. Also, for the first time in the category, Ather 450 comes with parking assist, which allows riders to reverse into tight parking spots.